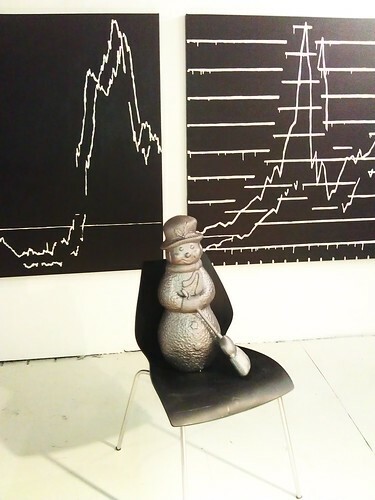 Once a month from 2007 to 2009, MTAA invited artist to present work in our North 6th street studio. Over the years, we presented 24 one night exhibitions and 1 online artwork under the name Over The Opening (OTO). In this time, we showed a few bands, a few video installations, a tamale instructional, a LAN party, some durational performances, a wall to wall ballon filled environment, a sound work with a low frequency brown note, and a virtual make out. We gave away paintings, held spoken word karaoke, and held an iPod drum circle in a public park. All of these wonderful artworks and more found temporary homes under the name OTO . 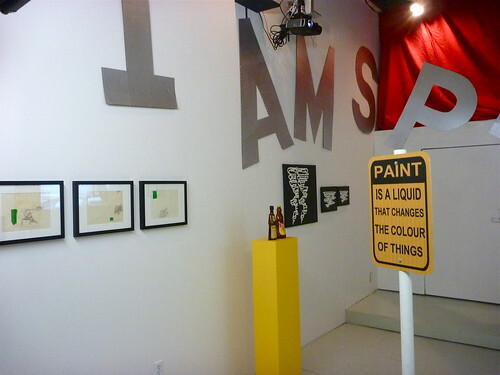 The one thing we never did, and I always regretted not doing, was present a formal exhibition of art. That is, until now. 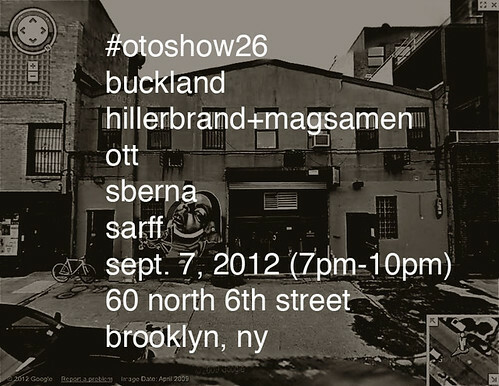 Please join as Over The Opening temporally resurfaces for one night on September 7, from 7pm to 10pm, with #otoshow26. The exhibition presents the works of Michael Buckland, Hillerbrand+Magsamen, Steve Ott, Shannon Sberna, and Michael Sarff. As it has been a quiet summer here at the MTAA-RR, it might be good to share with you some Tumblr sites I have been working on recently. tinjail.tumblr is a site for artworks that I see, like and photograph including a poster from M/M (Paris) for Ann Lee: No Ghost Just a Shell I saw this weekend on Governor’s Island. mriver.tumblr documents some of the things I’m working on in the studio. For the last week, this involves a set of 4 small paintings of magic hats (witch and top). You can see some studies for the hats on the site right now and I’ll post images of the paintings as they are worked on. 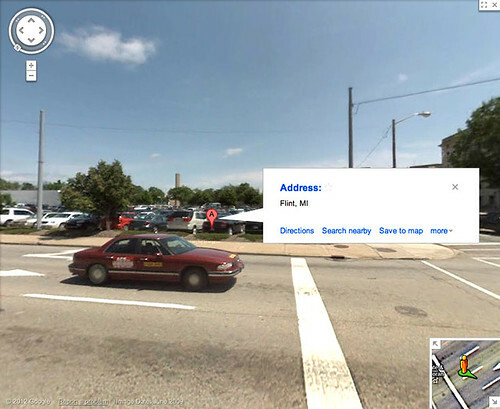 flintmix10.tumblr is a one year project that involves building 10 artworks remotely in Flint Mi. A new post for the project will be coming up this Friday.